Read the full IBA study here. 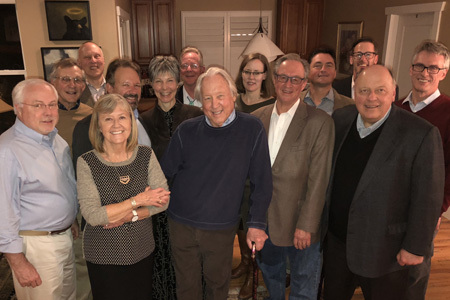 A recent gathering marked the 30th anniversary of Denver Law’s Natural Resources Practitioner in Residence program, a capstone seminar taught each year by a prominent natural resources law lawyer. Each of the program’s 30 practitioners have had extensive experience in energy, resources or environmental law work. Founded in 1988 by Jan Laitos, John A. Carver Jr. Professor of Law, the seminar provides students an unparalleled opportunity to learn the state of the art of resources practice. The practitioner for the 2018 seminar will be Robert Randall, Executive Director of the Colorado Department of Natural Resources.